Our FabLite Adjustable Tablet Stand comes with a lockable mount that keeps your tablet secured to our stand. The mount can be adjust to display vertically or horizontally and can work with any tablet device. 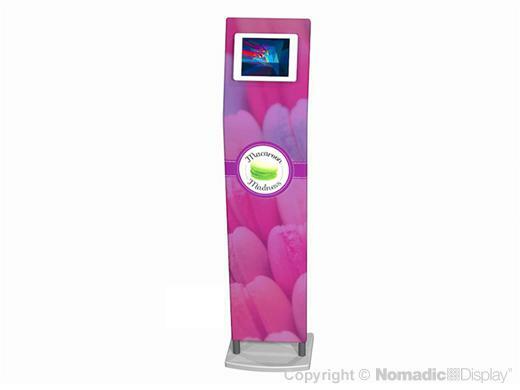 The stand itself is portable and lightweight, with a pillowcase graphic for branding. Note: Tablet mounts does not hold the iPad Pro or Surface.